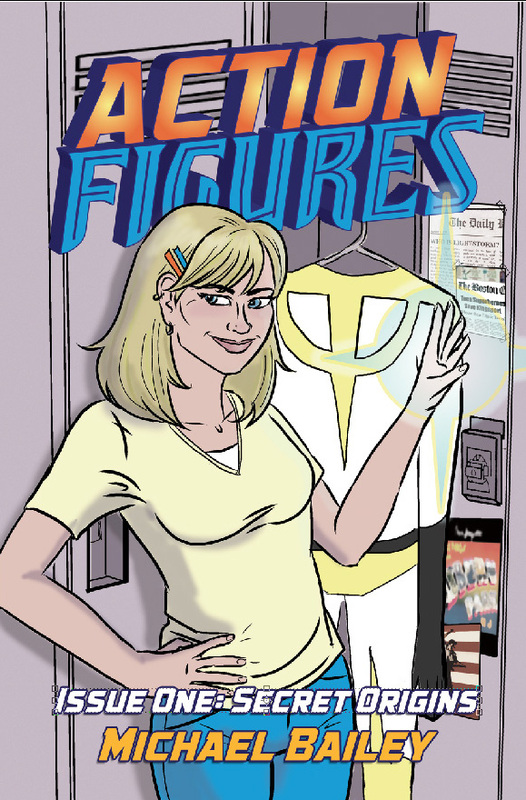 I open this week with a reminder that the Kindle edition of Action Figures – Issue One: Secret Origins will be available for free next week beginning Monday, but more importantly, I’m asking fans of the series to grab a copy for a friend or family member and send it to them as a gift. And remember, if they don’t own a Kindle, they can download a free app that allows them to read the e-book on any device. The Adventures of Strongarm & Lightfoot – Blades of Glory: I hit the 32,000 work mark over the weekend, so I’m creeping up on the halfway point in the story. While I’m happy with the way the story’s developed so far, I know I’m going to need to massage it a bit in the second draft to really punch up its personality. The series stands out because of its irreverent tone and that’s a bit lacking in draft one. Saturday, April 22 and Sunday, April 23, 11 AM to 4 PM: New Bedford Book Festival. I just ordered some more books for the show, so I’ll have copies of everything available. I’m going to make the most of my March writing-wise, because next month my weekends go bye-bye because of the Connecticut Renaissance Faire’s Robin Hood Springtime Festival. Rehearsals begin in April and the show runs into May, so don’t be surprised if I don’t have much to say for several weeks. That said, I’m always happy to hear from readers with questions about any of my books or about writing in general, so feel free to post a comment here on the blog. Finally, I am working on a fun little side-project with my cover artist, Tricia, that will be of interest to Action Figures fans. More on that as it develops!